1. Clin Neurophysiol. 2013 Jan;124(1):154-63. 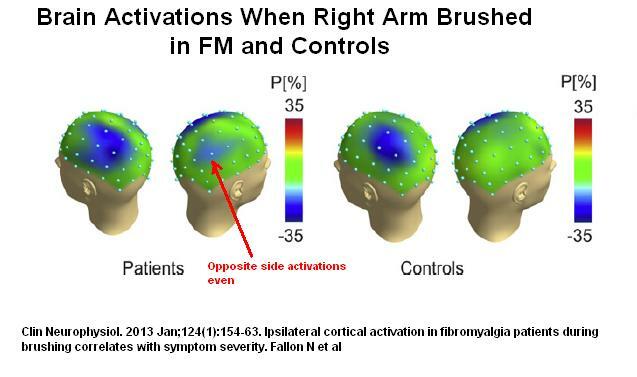 Ipsilateral cortical activation in fibromyalgia patients during brushing correlates with symptom severity.